You can use your breath to change your life. However you are stuck in your everyday world, your breath is there to teach you how to get unstuck. For whatever problem you have, your breath can help you with it. Your breath is a microcosm of your day and your life. The following description will tell you how to use each of six parts of each breath to create confidence when you are afraid, compassion where there is hate, balance when you are confused, detachment when faced with your addictions, inner peace when you are stressed, and witnessing when you are absorbed in drama. Loneliness: fear you will have no one around that loves you or cares about you. Fear of what others are saying about you. Let’s choose fear of poverty, just because it’s such a common, fun fear. Imagine you don’t have any money for food or to pay rent. You’re homeless. How do you feel? Now, inhale from your abdomen. It doesn’t have to be a chest inhalation, though it can be. Just focus on inhaling from your abdomen. Do this five times, with each time being a little deeper and longer than the last. What do you feel? More scared? Less scared? The same? Your abdominal inhalations bring new life, new possibilities, and the confidence of growth into your body. It wakes your body up with a new infusion of oxygen. Imagine that you are a sprouting seed underneath the ground. Feel your fearless confidence to grow, to be, to expand upward and outward! This is a visual analogy for what is going on in your consciousness when you become mindful of your abdominal inhalations. Y0u can bring new confidence into your mind and heart, confidence that first balances out and then becomes a light that chases the shadows of your fears away. Practice: Use this exercise any time that you become aware that you are anxious, worried, afraid, or want more confidence. Use it with any of the above fears. Use it when you want to become more awake and more aware. Think of something that makes you angry. You want to lose weight but you lack the self-discipline. Choose one of them; let’s say it’s your lack of self-discipline. Imagine you continue to not have self-discipline and things get worse. You feel really angry at yourself. Feel that anger! Now, inhale with your chest. Fill it up! What do you feel? More angry? Less angry? The same? Your chest inhalations bring new aliveness, new energy, new hope, and the oxygen necessary not simply to live, but to grow, thrive, and give to others. Imagine that you are a broad river overflowing its banks in the spring, fertilizing fields with the abundance of silt you carry. In the fullness of your nature, you naturally give. When you become aware of your chest exhalations, as you do with this exercise, you can bring new love and compassion into your mind and heart, compassion that first balances out your anger and then becomes a light that chases the shadows of your anger and its underlying fears away. Practice: Take five chest inhalations, each one deeper and longer than the last when you are angry at someone else or at yourself and see what happens. You can also use this exercise to wake up out of rescuing. Whenever you experience yourself moving toward burnout or feeling overworked and underappreciated, take five chest inhalations, each one deeper and longer than the last. Allow yourself to feel compassion not only toward others, but toward yourself. Feel those breaths nurturing you, loving you, caring for you. Do I stay in this relationship or leave? Do I follow this doctor’s advice or not? Do I speak my truth and risk blowing this relationship/job? Choose one of them; let’s say it’s your turmoil about speaking your truth. If you do you’ll probably offend someone, hurt someone’s feelings, or make someone mad at you. You don’t want to do that. What will people think? But you don’t want to pretend that you agree with something you think is wrong, harmful, or just plain stupid, either. Imagine you continue to not speak up and things get worse. You are in even more turmoil and confusion. Feels terrible, doesn’t it? Now, observe the pause at the top of your breath. Notice it is a balance point, balancing the alertness of inhalation and the relaxation of exhalation. Imagine you are Earth. Experience your balance between day and night, hot and cold, rock, water, and air. Experience how amazing your natural balance is. Do this five times, with each pause at the top of your breath being a little deeper and longer than the last. If your thoughts and feelings are running wild, emphasize your exhalations to bring you into balance at the top of your breath. If you are daydreaming and getting drowsy, emphasize your inhalations to bring in oxygen to turn on the lights upstairs and bring you into balance at the top of your breath. What do you feel? More confused and in turmoil? Less so? The same? The pause at the top of your breath brings balance, and with it discernment and a stability that can replace turmoil and confusion in your awareness. 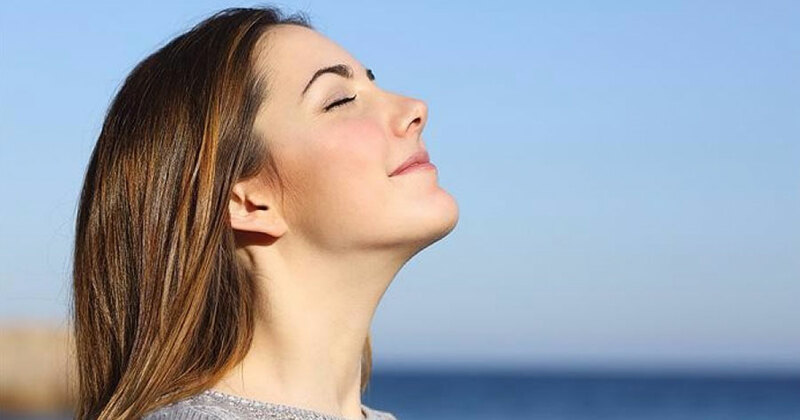 When you become aware of the pause at the top of your breath, as you do with this exercise, you can bring new balance and wisdom into your mind and heart in a way that allows you to make better decisions without all the self-created drama and self-persecution of turmoil and confusion. Practice: Focus on the pause at the top of your breath for five breaths, with each pause deeper and longer than the last. Do this whenever you feel in turmoil or confused. Choose one of them or think of a favorite; let’s say it’s your addiction to the stability of your present status quo. You know it’s dysfunctional; it doesn’t reflect the priorities of your inner compass. It’s not bringing you happiness. But it’s real and powerful; all your daily habits and activities conspire to keep you in your present circumstances, continuing to feel your current feelings, and justifying your current opinions, although it is safe to say they were radically different in the past and will be at some point in the future – if you’re lucky. Now, observe your chest exhalation. Notice you are letting go of your life force. You are letting go of everything you are attached to. Imagine you are on your deathbed. You are giving it all up, whether you want to or not. Go through all your loves, all your addictions, all your possessions, all your interests, hobbies, and sources of meaning in life and surrender them with deep gratefulness and thankfulness, one after the other…You are detaching. Experience what it feels like to let go naturally, without thinking about it. Just observe. Do this five times, with each chest exhalation a little deeper and longer than the last. What do you feel? More attached and addicted? Less so? The same? You can use your chest exhalations to move into acceptance of letting go of all sorts of things – your expectations, preferences, hopes, desires, wants, needs, addictions, loves, hates – whatever. This is not a move into passivity; it is an active, consciously chosen detachment, which is very different. You can use your chest exhalations to help you leverage yourself free of whatever addiction you have at the moment. If you are meditating, it may be to that itch or pain. Avoiding paperwork by surfing the internet? Do five chest exhalations, with each deeper and longer than the one before and see what you feel like doing. Want a cigarette? Try this first. How about that second helping? Try this first, then gorge yourself if you still want to. Practice: Focus on your chest exhalations for five breaths, with each pause deeper and longer than the last. Do this whenever you catch yourself in an addiction or, better yet, are about to indulge. Do it when you find yourself caught up in someone else’s drama. Do it when you are personalizing. See what happens! Others you have to take care of, whether you want to or not. Unrealistic or unethical job responsibilities. Health problems, disease, and aging. Choose one of the above or think of your own favorite; let’s say it’s health problems, disease, and aging. The walls are closing in. The box is real. There is no escape. You’re getting old; you’re dying. It’s a lovely thought, isn’t it? Imagine that happening, with your sense of constraint, of control, of being trapped just getting worse and worse…How does that feel? Imagine you are a large, beautiful tree in the woods. A contractor comes and chops down all the other trees to build the parking lot of a mall, but leaves you, surrounded by a small retaining wall. You have lost your friends and you are in a concrete “box” that cuts you off from rain water. But you’re a tree. You don’t cry, get angry, fight reality, or ask, “why does this always happen to me?” Instead, you simply allow yourself to be with the circumstances that exist at present. Be that tree as you exhale abdominally. Now, observe your abdominal exhalation. Observe the last bit of life-giving air leaving your body. Do it again. Repeat a total of five times, with each abdominal exhalation a bit deeper and longer than the last. There’s a kind of final surrender about it, a complete letting go. You’re not just letting go of your life force; you’re letting go of everything in a deeper, more complete way than you were doing with your chest exhalation. You aren’t just letting go of the qualities, behaviors, thoughts, and feelings that have always defined who you are; you are letting go of you. You are going away, just as you do every night when you go to sleep. When you enter deep sleep, who you are evaporates; it doesn’t exist in deep sleep. There is no more stress because there is no more box to create stress. Neither one exist. Experience what it feels like to move into radical freedom naturally, without thinking about it. Just observe. Do this five times, with each abdominal exhalation a little deeper and longer than the last. What do you feel? Are you feeling more stifled and stressed? Less so? The same? You can use your abdominal exhalations to move into a life of radical freedom and deep inner peace. This is not the radical freedom of anarchism or the inner peace of pacifism and passivity. Abdominal exhalation is an active process. Although it is typically unconscious and automatic, you can choose to become a conscious participant in that process. By so doing you no longer experience yourself as victimized by death, regardless of what form it takes in your life. You can use your abdominal exhalations to help you leverage yourself free of whatever box you find yourself in at the moment. You can use it to die to your sense of being boxed in by your inner and outer worlds. Can’t get some worry out of your mind? Do five abdominal exhalations, with each deeper and longer than the one before and see what you feel like doing. Unable to die to some stuck sense of who you are? Just exhale that you with each abdominal exhalation. Focus on five deepening abdominal exhalations. Practice: Focus on your abdominal exhalations for five breaths, with each pause deeper and longer than the last. Do this whenever you feel you are in your own way, when you don’t like who you are, or whenever you find yourself taking yourself too seriously. Just do some abdominal exhalations. See what happens. You are trapped in a delusional reality, in self-created drama. A major part of waking up out of it is getting clear. First you need to learn to think clearly, which means setting your emotionally-based biases, prejudices, opinions, and beliefs aside long enough to think them through. This is mental clarity. Then you need to develop some distance from the charade of your life. You need to get some distance from your self-created drama. This is called learning to witness yourself. Who you become transcends and includes that self. Who you are now isn’t all of who you are growing into. From that awareness, who you think you are is not so important as it used to be. This creates breathing room, because if your “self,” however you define it – as your feelings, thoughts, behaviors, beliefs, attitudes, values, your soul, your Self – is who you are and it goes away, then that’s a real death. You can’t let that happen. So you spend your life, or eternity, in fear, creating substitute realities, transitional objects that are forms of self-medication and self-rescuing. But when you learn to witness any and all definitions of yourself, all that is left is clarity and witnessing as you breathe, laugh, work, play, and live. You think you’re a self and that self is real. You think you need your personality to experience love and to have a personal, I-Thou relationship with life. You think that not having a self is better than having a self. You think that your ego isn’t real but your soul or Self is. You think that no self is more real than your ego, soul, or Self. You seek salvation; therefore you are stuck in the rescuer role of the Drama Triangle. This could be salvation from sickness, poverty, loneliness, depression, anxiety, death, meaninglessness, evil. Take your pick. Because you seek salvation, you put yourself in the role of victim – someone who needs saving. Therefore you think you really are a victim. You really are basically helpless, powerless, and therefore hopeless. Because you see yourself as a victim, there really are things that are persecuting you. There really are persecuting people, diseases, devils, urges, addictions, and bugs. There really is karma. There really are laws to break or follow; there really is a self that gets punished with bad luck, reincarnation, disease, abandonment, failure, and karma. These are all symptoms of mental fuzziness. You lack clarity. These are all symptoms of being stuck in drama. You lack the ability to stand back and watch yourself go by. Choose one of the above or think of your own favorite; let’s say it’s that you have an immortal soul that will survive death. This is an important belief because it provides you with a sense of security and meaning. If you doubt this, just imagine that it isn’t true, that you don’t have an immortal soul that survives death. How does that feel? Despite the fact you probably don’t believe it, it’s a threatening thing to consider, right? Why? Because you rely on it for your sense of security and meaning. You can’t imagine having either without it. But for a moment, just as a stupid thought experiment, imagine it’s true. What does that feel like? Pretty bad, huh? Now, observe the pause at the bottom of your breath. Just be in that place after you have totally exhaled. What’s it feel like? If you relax into it you’ll notice that it’s empty, clear, open, spacious. It doesn’t contain anything. This is the formless potential out of which every moment, every form is birthed. In is the mundane, dark, silent matrix in which a seed sprouts. Experientially, it is equivalent to deep sleep, but this is different, because normally people aren’t conscious when they are deeply asleep. You are. It is the destiny of mankind to learn to be awake and alert all the time, including during deep sleep and while dreaming. You, have the ability to be awake and consciously participate in this formless state of pure potential by becoming one with the pause at the bottom of each breath. When you do, you are in a space of witnessing the entire cycle of breathing, the cycle of each day, the cycle of your life, and the cycle of life itself. This is a space devoid of drama; it is no better than any other part of the cycle of breathing; it merely brings its unique qualities and characteristics into awareness so you can use them when you need them. Experience what it feels like to move into clarity and the witnessing of all definitions of self, of all forms, and of life naturally, without thinking about it. Just observe. Do this five times, with each pause at the bottom of each breath make it a bit deeper and longer than the last. What do you feel? Are you feeling more fuzzy and stuck in drama? Less so? The same? You can use the pause at the bottom of each breath to move yourself into a clear space of witnessing whenever you want to. Practice: Focus on the pause at the bottom of your breath for five breaths, with each pause deeper and longer than the last. Whenever you are lacking clarity, use this simple exercise and see what happens. Whenever you find yourself caught up in drama, particularly when you are subjectively enmeshed in it and need some objectivity, do this exercise. For more information on this process, see Waking Up.